Home Nigerian News 7 Trending Ponzi Schemes in Nigeria in 2016. 7 Trending Ponzi Schemes in Nigeria in 2016. Against the backdrop of the economic recession in Nigeria, different unorthodox financial schemes are gaining attraction across the country. One of the most popular over the last year was the Mavrodian Mondial Moneybox, MMM, a Ponzi scheme whose decision on Monday to suspend the accounts of its patrons in the country has thrown millions of Nigerians into anguish. 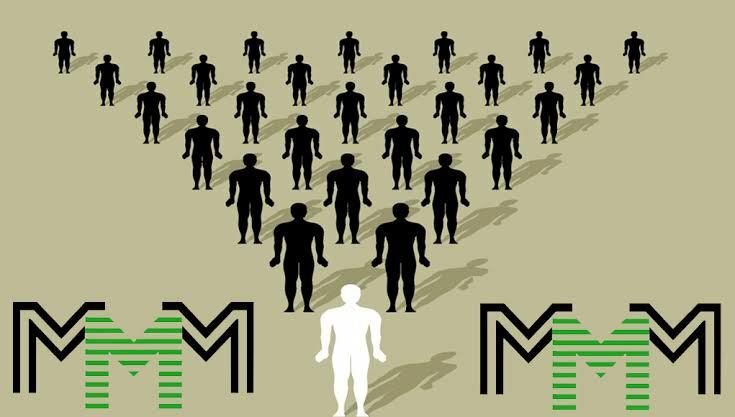 Apart from the MMM, which the Nigerian authorities had cautioned citizens not to patronize, there are other schemes luring desperate or unwary Nigerians across demographic groups. For instance, though legal, the number of Nigerians patronising the betting or lottery games is on the increase. In particular, the youth are deeply involved in sports betting through such platforms as Nairabet, Merrybet ,superbet and Bet9ja, among others. It was against the backdrop of the popularity of the sport betting games that MMM, which before suspending operation on Monday had over three million participants in the country, made inroads into the Nigerian investment market in 2015. The scheme simply means taking from Paul to pay John . According to Wikipedia, a Ponzi scheme is a fraudulent investment operation where the operator, an individual or organization, pays returns to its investors from new capital paid to the operators by new investors, rather than from profit earned through legitimate sources. Operators of Ponzi schemes usually entice new investors by offering higher returns than other investments, in the form of short-term returns that are either abnormally high or unusually consistent. How do Ponzi schemes work? Ponzi schemes are quite basic but can be extraordinarily powerful.
. Convince a few investors to place money into the investment.
. After the specified time, return the investment money to the investors plus the specified interest rate or return.
. Use success of earlier investors to convince more investors to place their money into the system. Typically, the vast majority of the earlier investors will return.
. Repeat steps 1 through 3 a number of times. During step 2 at one of the cycles, break the pattern. Instead of returning the investment money and paying the promised return, escape with the money and start a new life. Profile: MMM Nigeria is part of the MMM Global community, a Russian Ponzi scheme dated back to 1989. MMM stands for Mavrodi Mondial Moneybox and takes its name from its founder, Sergei Panteleevich Mavrodi of Russia. Three years after he founded MMM in 1989, the scheme was declared bankrupt and Mavrodi disappeared, until his arrest in 2003. The scheme was launched in Nigeria in November 2015. How it works: MMM gives you a technical platform which helps millions of participants worldwide to connect those who need help to those who are ready to provide help, for free. All transferred funds to another participant are your help, given by your own goodwill to another one. For instance, if you accept to provide help of N200,000, the bank account of either one person who requested for help of that amount or a number of people whose total request is N200,000 will be sent to you to pay the money into. The scheme promises a 30 per cent return on investment to members. In their transactions MMM participants operate with Bitcoin. When you register on MMM and refer people to it, even if you are not investing, you earn 10 per cent of the amount the person invests. Relative Crash: In January 2016, the Chinese government banned MMM on the ground that it is a pyramid scheme, (Ponzi scheme), and not registered in the country. Earlier this year, the scheme crashed in South Africa. MMM Global only gave South Africans the bad news with a post on its website saying: “We regret to inform you that we have to close down the Republic of Bitcoin. It was an experiment, and, unfortunately, it failed. We turned out not to be able to pay 100 percent per month.” In response to mounting criticism and official investigations by state authorities in 2016, supporters of the South African MMM scheme staged a protest march in Johannesburg. The scheme started up again late November 2016. Also, recently, the scheme collapsed in Zimbabwe. Just recently, Nigerians have been thrown into a sudden anxiety following a decision by promoters of MMM to suspend new payouts to subscribers. The members woke up on Tuesday morning to a disclaimer on the scheme’s website informing them of the move. But the promoters of the scheme said it would not go burst just yet, adding that the setback will only last a month. Popularity: MMM is presently in over 27 countries, estimated to have over 100 million participants globally. In Nigeria, it is believed to have up to 3 million participants with over 3,000 trooping into the scheme weekly. MMM currently is the most popular online money making portal in Nigeria. It ranks on alexa.com as the 5th most visited website in Nigeria as at today. Profile: Ultimate Cycler is a peer-to-peer donation business model created by Peter Wolfing, a United States based network marketer. It’s a 2×2 cycler scheme with a direct member-to-member payment plan. There is no central account to pay or receive; you get all of your payout directly into your account. There are 6 matrix levels you can earn from, but the only expense you make is the one-time N12,500 ($25) you donate to your sponsor so as to activate your account. How it works: When you register, you will need to donate the sum of N12,500 to a fellow member and the person will then confirm your donation. The system (Admin) will put 4 other registered people under you from spillovers who will also pay N12,500 each into your bank account, making N50,000. You can also bring people to register under you if you cannot wait for the system to do it for you. Relative crash: There is increased panic over the seeming crash of Ultimate Cycler. The panic came following a technical downtime of the Ponzi scheme, which resulted in a crash of the site, ultimatecycler.com . Subsequently, founder of the scheme, Peter Wolfing, while addressing the situation in a statement apologized for the development, saying the crash occurred as a result of a system upgrade. He said the site would be up as soon as possible. However, the site which went down on December 1 still displayed an error message “Be right back. We are currently updating the site to give you a more pleasurable experience and will be back online shortly”. The founder also posted a video on the site urging participants to exercise patience. The site is still down, members can only view their inbox but cannot make any transactions or register new people. This is the second most popular online money making Ponzi scheme in Nigeria, currently it is ranked in alexa.com as the "15th" most visited site in Nigeria. The scheme currently operates in Nigeria and USA. Profile: Zarfund is a complete teamwork based person to person funding and donation sharing platform. It helps to bring a new way of raising funds for various causes and charity programmes. The scheme was founded by Hannes Jordaan, an online entrepreneur living in South Africa. How it works: At first, ZarFund members voluntarily pay their referral in form of donation to participate in this programme, i.e invited persons actually pay to their referral and the programme is full of referring sytem filled with 6-level stage per month. Since all the transaction system (donating and receiving) is done via Bitcoin – a digital cryptocurrency, you must own a Bitcoin wallet (like Blockchain) where you can receive and collect your funds. Zarfund matrix program model is forced to 2×6 structure, which works only with Bitcoins. Popularity: Zar fund is the 3rd most popular Ponzi scheme in Nigeria, and ranked as the 37th most visited website in Nigeria in mid-December. Profile: It is one of the top online money making Ponzi schemes in Nigeria, just like MMM Nigeria, Ultimate Cycler, i-charity, Crowd Rising, etc. GIVERS FORUM is a community of givers, people who provide each other financial help on the principle of percentage growth. In GIVERS FORUM, you do not have to make contracts or pledge your property, there are no lenders and no debtors. Everything is very simple: one participant asks for help, another one helps. How it works: Anyone can become a member by registering FREE on their site www.giversforum.com . After successfully registering, you log into your account known as Personal Office with the login details you registered with. Say you have announced willingness to assist with N100,000. You will be rewarded in your Private Office with N100,000. And it will immediately start growing! A week later, this N100,000 will become N110,000 and in a month, it becomes N140,000. Accordingly, you will be able to request assistance for N110,000 in the first week, N120,000 in the 2nd week, N130,000 in the 3rd week and N140,000 in the 4th week. All, after your pledge might have been transferred and confirmed. Request for providing help comes to you in your personal office. If you do not do it within 48 hours during the week and 96 hours on weekends, you will be removed from the system. Popularity: The domain “ giversforum.net ” was registered on October 17 and was already the 47th most visited site in Nigeria by mid-December, and the 4th most popular Ponzi scheme in Nigeria. Profile: International Charity Club (iCharity Club) is an international network of donors. iCharity.Club is a peer-to-peer donation platform for members to help other members in a systematic way. By using this platform, members can give and receive donations from each other. It is open to everybody, anyone in the world can join this programme. How it works: You register, donate to your upliner and become a Grade 1 Member in the system. The system will then find 5 Free Members and they in turn donate to you. That is how you earn money when you are a member of iCharity Nigeria, you do not have to sell any product to anybody or do any form of networking or tell people about it, you simply earn. Starting from Grade One where you earn ₦37,000 to Grade Two where you earn ₦370,000 and Grade Three where you earn ₦3,700,000. You register as a free member then upgrade to a grade one member and receive the same amount donated 5 times. The same happens when you reach other grades in the system. Popularity: This is the 5th most popular Ponzi scheme in Nigeria. It ranked on alexa.com as 71st most visited website in Nigeria as sat mid-December. Profile: CrowdRising is not a company or a business or a corporation. The CrowdRising System is not owned by any one individual. It is a semi-automated system created by 5 individuals, who are funding and founding members, referred to as the 5 Horsemen. The platform is made available world-wide, free of charge. There are no admin fees, no monthly fees, in fact, there are NO fees. How it works: CrowdRising is a person-to-person direct funding platform. The system was designed in such a way that it can be used by fundraisers, such as for charities, schools, clubs, churches, non-profits, family, and personal financial needs etc. The donations are not collected by the administrator, nor are they automated by the system, rather donations are sent directly and personally from one member to another, from one member’s payment processor to another member’s payment processor. Popularity: This is relatively new in the online Ponzi scheme market in Nigeria, and ranked as the 143rd most visited site in Nigeria in mid-December. Profile: Get help worldwide is one of the trending mutual fund peer-to-peer donation portal in Nigeria today. The scheme has only been in existence since August and is already having a major share in the mutual fund community. How it works: It is simply an online community where people are helping each other financially, directly with no third parties Involved, whatever Help you give to someone financially grows by 30 per cent if in local currency or 50 per cent if in Bitcoin in 30 days. Popularity: This is not yet popular in the Nigerian Ponzi scheme market. It ranked as the 201st most visited website in Nigeria by mid-December.